Drug Sniffing K-9 Overdoses While Screening Passengers For HOLY SHIP! No, unfortunately, this is not The Onion, nor is it a joke. Newsweek is reporting that a drug-sniffing dog was given anti-overdose medication after ingesting drugs while searching passengers boarding HOLY SHIP!. A Brevard County Sheriff’s Office K-9 called Jake was screening passengers boarding for Holy Ship! when he became suddenly ill. The dog was given Narcan by a crew member, a narcotic often used to treat overdoses in humans. “Jake started having some problems with balance and had some type of seizure incident of some sort, was showing effects of having inhaled some substance,” – Tod Goodyear, a sheriff’s office spokesperson. Ironically, it was later reported that Jake swallowed some ecstasy and not a narcotic at all. The pills were found inside the boxers of a passenger trying to sneak them in. 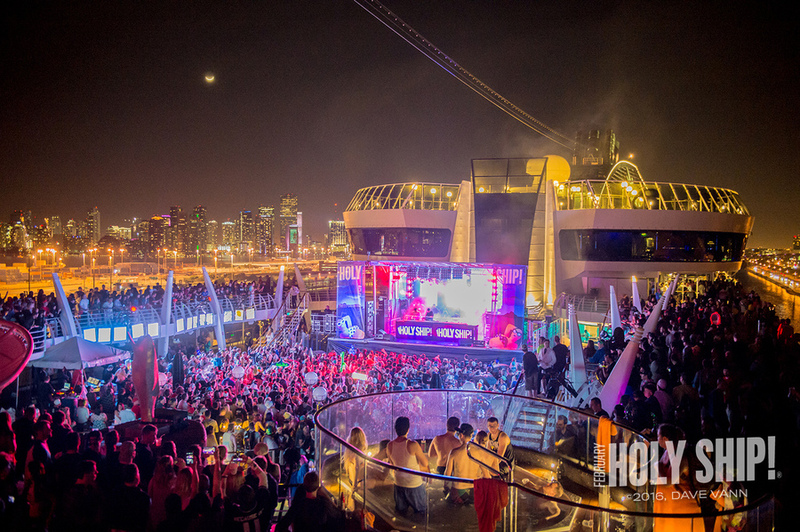 This is the second year in a row that dozens of HOLY SHIP! attendees were arrested before boarding the cruise. While the cruise seems to have a problem, let’s be realistic. For two sailings, with over 5,000 attendees combined, a dozen arrests are very low. HOLY SHIP! does a great job promoting safe travels for all their members. The festival released a statement after the incident, you can read it and the full story below. Jake is in a stable condition and is expected to make a full recovery. Read the full story here.